Most of the Gizmodo crowd probably already has some sort of USB drive, so companies are starting to make bombastic claims to get you to buy theirs, like will improve your quality of life, help you grow back your hair or other empty promises. PNY is no different, and its Attaché Pro USB drive uses security as its bait. Unlike some of its other Attaché siblings, it doesn't even look like an attaché case. It does look "trendy," though, or so claims PNY. 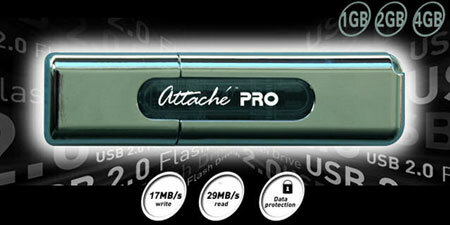 The Attaché Pro is available in 1GB, 2GB or 4GB versions and has a write speed of 17MB/s; read speed is 29MB/s. What makes it "Pro" is its security features, namely PNY's Windows-only SecureLock software.  Users can lock the USB drive with a password, so in the event that it gets lost, prying eyes won't be able to see the sensitive data you've stored on the drive. SecureLock uses 128-bit AES encryption, so the 2600 crowd will have a tough time breaking into it. You can find it for about $46.